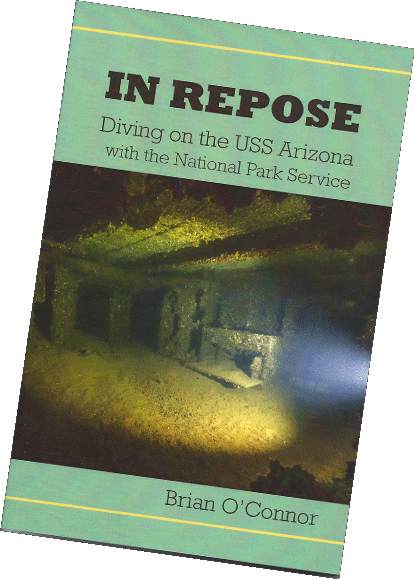 Update: IN REPOSE, by Brian O’Connor is now available at the World War II Valor in the Pacific National Monument Pearl Harbor, Hawaii; through the Pacific Historic Parks Book Store; at the store and on-line. 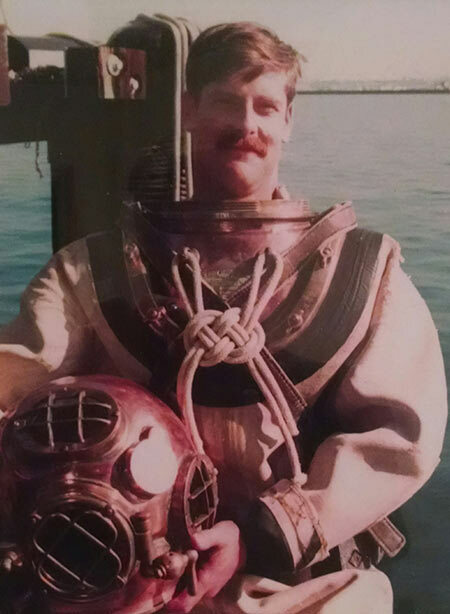 The author, Brian O’Connor, retired Navy Diver and National Park Service Volunteer, takes the reader along on a detailed underwater journey to explore the shattered remains of the USS ARIZONA, sunk during the attack on Pearl Harbor in December, 1941. Written with the personable intent of joining him, swimming alongside and living the adventure, with senses heightened, the history, the emotion and the profound effects of a dive on a national icon that was the rally cry of the nation. 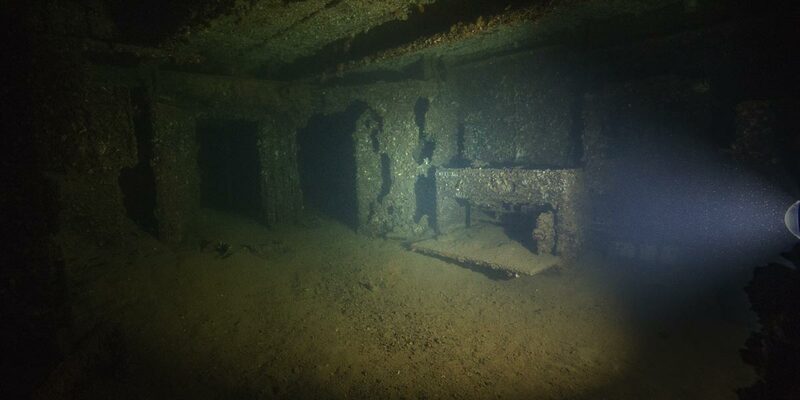 Now 75 years after the attack that destroyed Arizona, one can experience the present conditions of and around the wreck, learn what happened to the ship in technical detail and how her devastated hull was inspected and mapped out in a caring and respectful manner, decades after her loss. “It is as if the author, Brian O'Connor, is sitting there next to you telling his story of the USS Arizona”. “Using sleuthful investigatory discipline and expert analysis, Mr. O'Connor has finally produced what should be the final word on the last moments of one of America's great symbols of its military might”. Brian O’Connor retired from the military in 1995, after 20 years of service and having operated with nearly every U.S. Navy community including surface, submarines, aviation, and special warfare / special operations; with assignments involving engineering, diving, supply & logistics, weapons, security, administration, planning & estimating and transportation. Since that time, he has worked in the telecommunications, physical security and transportation industries. He has been an instructor on a variety of topics and an in-the-field researcher and living historian for both government and private sector projects. 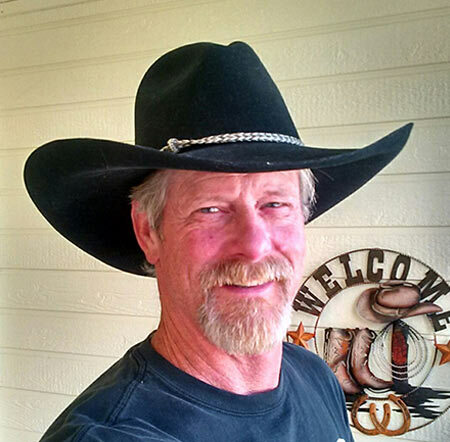 Still an avid history buff, his interests also include shooting and firearms, photography, and the American West. He has two sons from a prior marriage and now lives on a small ranch in Central Oregon with his beloved wife and a passel of critters.